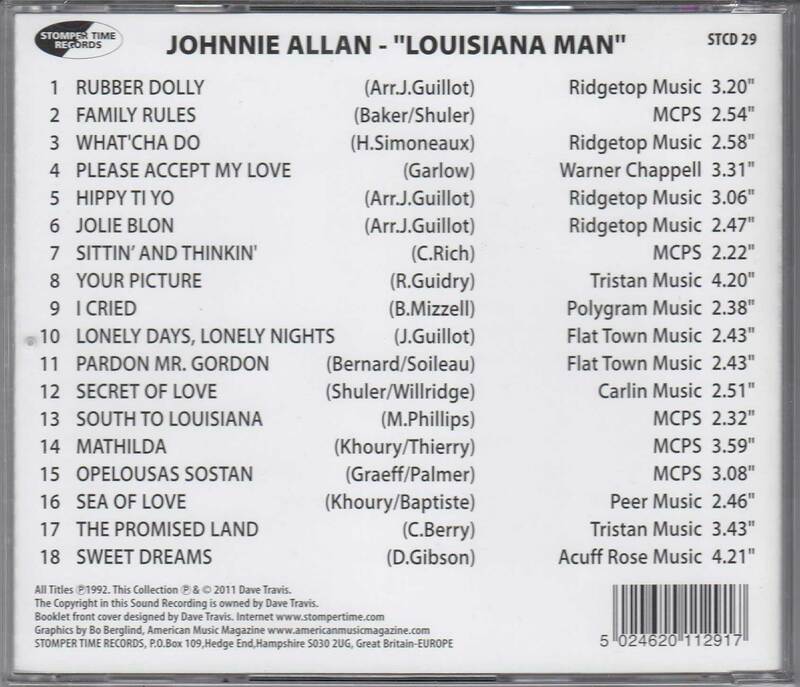 (2011/STOMPERTIME) 18 tracks (56:42) cracking good concert, recorded at the Royal Naval Club, London, England, December 4th.1991. Top Sound quality! Feat. Johnny Allan (voc), Harry Simoneaux (sax), Nick Pentelow (sax), Gary Rickards (gtr), Dave Travis (gtr), Stuart Coleman (bass), Gearaint Watkins (piano/accordion), Bobby Irwin (drms) - 12 page booklet. 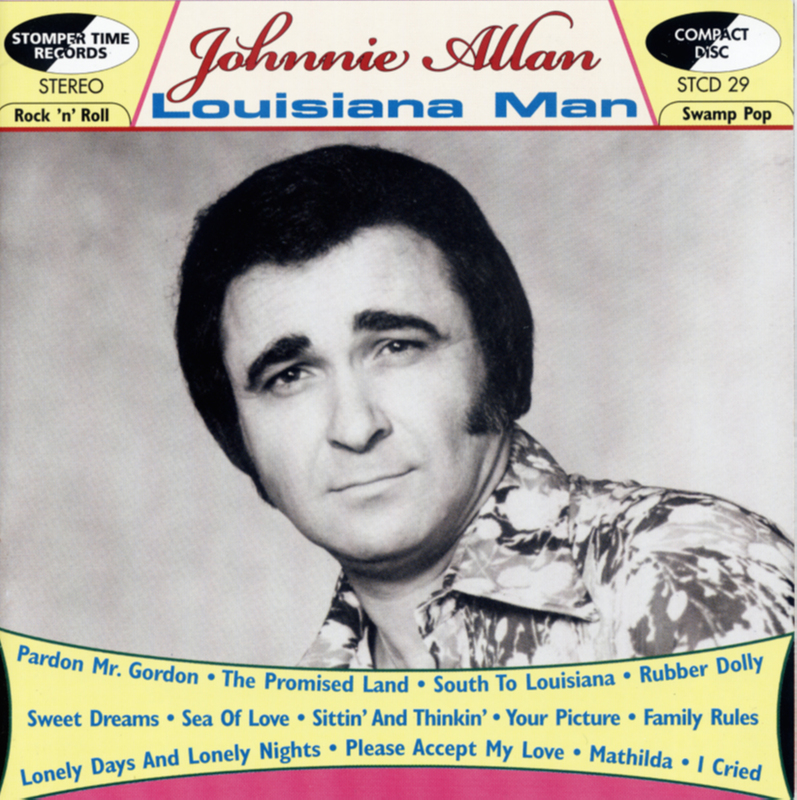 Cajun singer born John Allen Guillot in Rayne, Louisiana in 1938. He first recorded in 1958, and his debut single on Jin, 'Lonely Days, Lonely Nights', was pickied up by MGM for national distribution in 1959. He toured Europe in 1997 and was still active in the 2000s. Kundenbewertungen für "Louisiana Man - Live in London 1991"